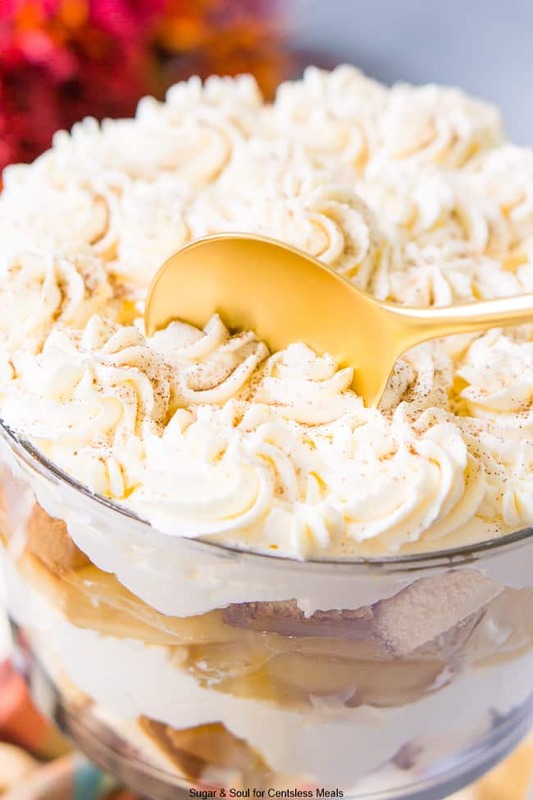 This Caramel Apple Trifle is an easy and delicious fall dessert made with layers of pound cake, sweet vanilla cream, caramel, and homemade apple pie filling! It’s perfect for family dinners and potlucks alike! It’s finally September, and as if a switch was flipped, the mornings and evenings have gotten chilly and the sun hangs lower in the sky. Summer is warm, green, and exciting, but autumn is cool, colorful, and nostalgic – my favorite season. I can’t wait to dive right into the fall festivities, like apple picking, pumpkin carving, and of course, lots and lots of baking! And I know we’re all eager for that first slice of pumpkin pie! This year, after coming home from my first trip to the orchard, I had to make this Caramel Apple Trifle! 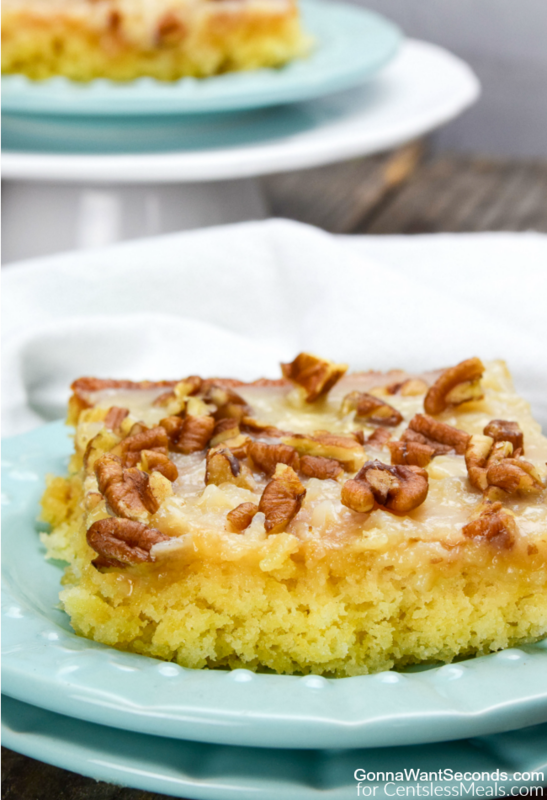 This delicious dessert captures the essence of fresh apple pie, but with a twist. 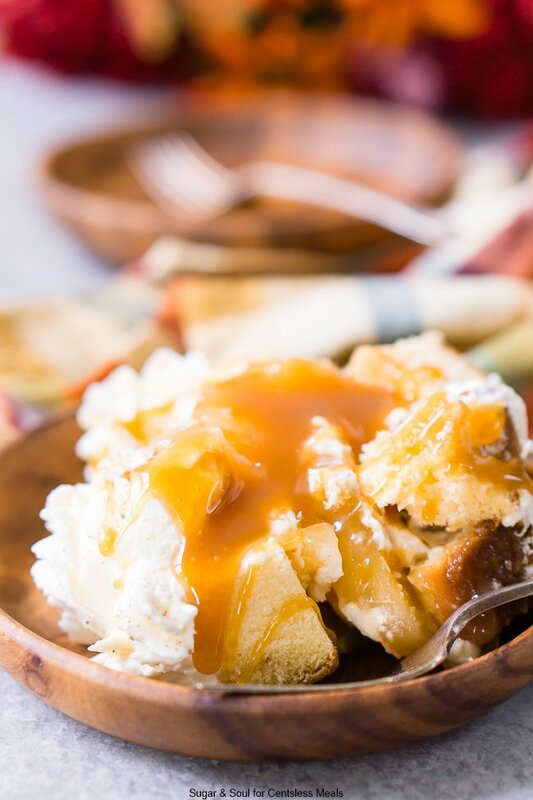 Sweet spiced apples are the highlight of this dish, layered upon buttery crumbles of pound cake and topped with rich vanilla whipped cream, and let’s not forget that layers of caramel sauce! 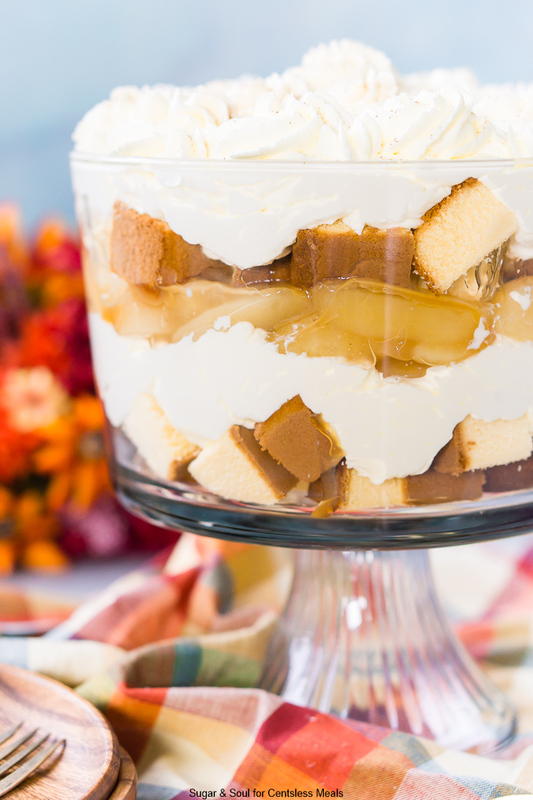 And here’s the best part: this Caramel Apple Trifle is as easy to make as it is tasty! After peeling and slicing the apples, they’re boiled down with sugar and fall spices until tender and syrupy like a pie filling. Scoop it over chunks of pound cake (it can be homemade, but for a quick and easy shortcut, use a store bought frozen version – no one will know!) and delicious vanilla whipped cream! 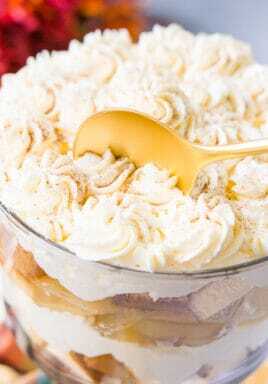 This Caramel Apple Trifle looks beautiful in a glass trifle dish, exhibiting each layer like a work of art. I always dust cinnamon on top! 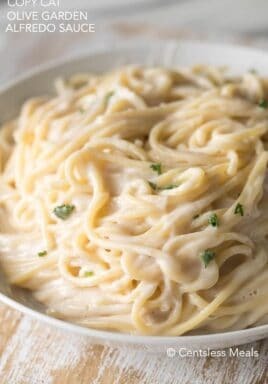 You can serve this classy dish at Halloween parties, Thanksgiving dinners, or late autumn get-togethers when the leaves start to change and the evenings turn chilly. 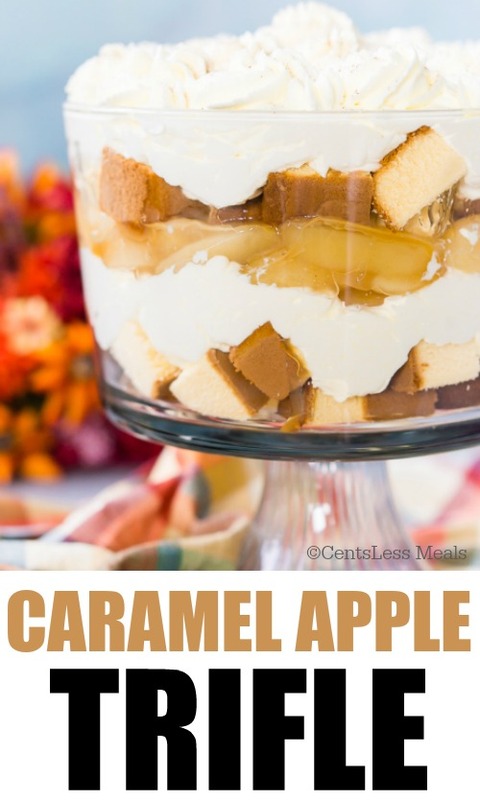 Whether you love cooking with fresh apples or need a cozy seasonal dessert to enjoy, this Caramel Apple Trifle is a simple recipe that makes a stunning presentation and captures the nostalgic flavors of fall. And if you’re a big caramel fan, you HAVE to try this Salted Caramel Frosting! 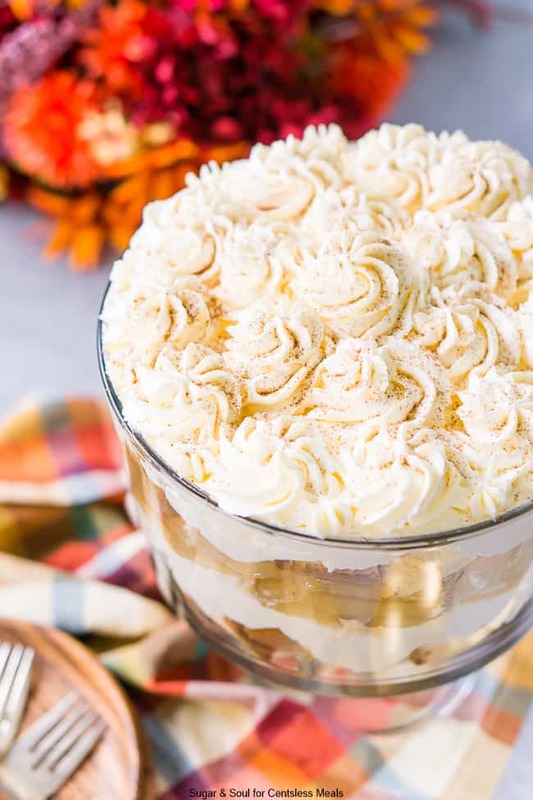 This Caramel Apple Trifle is an easy and delicious fall dessert made with layers of pound cake, sweet vanilla cream, caramel, and homemade apple pie filling! 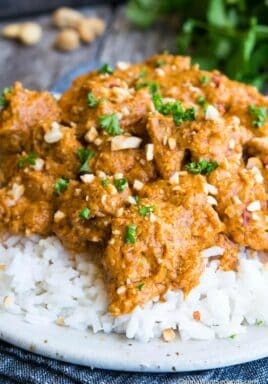 It's perfect for family dinners and potlucks alike! Prepare apple pie filling according to recipe instructions, this can be prepared in advance for a quick and easy assembly. 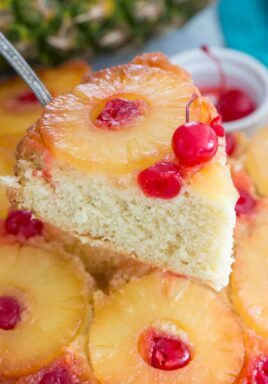 Cut pound cake into cubes, and arrange half of them in a layer in a large trifle dish. 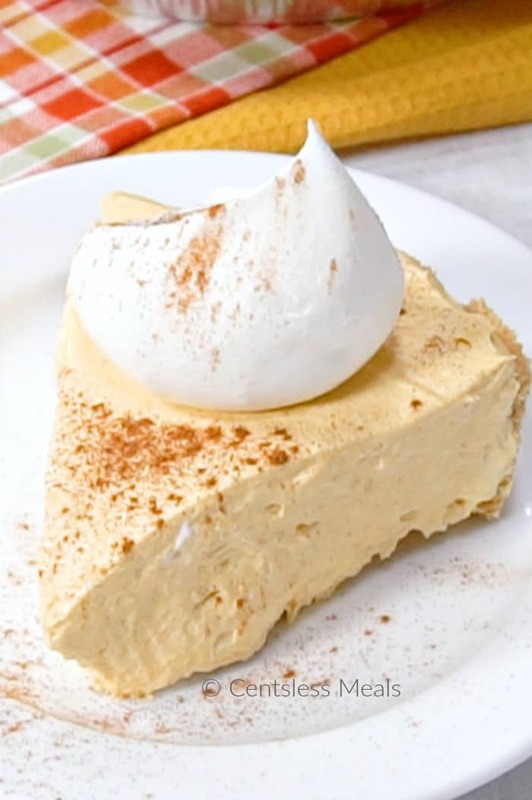 In a large bowl or stand mixer fitted with a whisk attachment, combine the heavy cream, powdered sugar, and pudding mix and beat on medium-high speed until light and fluffy, about 3 to 4 minutes. Add about half of the whipped cream as the next trifle layer and then top it with the apple pie filling, then layer with 1/2 cup of caramel sauce. Repeat with one more layer of the remaining pound cake and whipped cream. Pipe whipped cream on the top, if desired, for presentation. Dust with cinnamon. 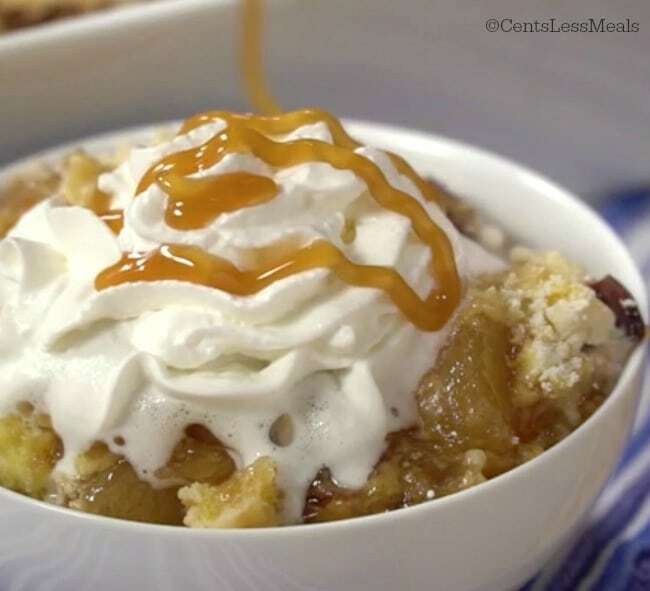 Scoop and serve with a drizzle of caramel sauce. I didn’t see where you had caramel in the recipe or in the layers? Is it optional or are u suppose to add Carmel syrup to it? Brandi, we updated the recipe so it’s more clear now! Hope that helps.